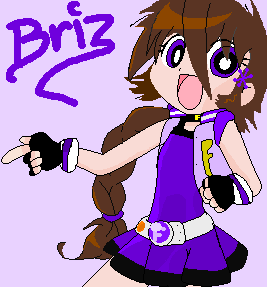 Briz. . Wallpaper and background images in the powerpuff girls Z club tagged: powerpuff girls z power. This powerpuff girls Z fan art contains аниме, комиксы, манга, анимационные фильмы, комикс, мультфильм, and книга комиксов. cool!! is this your idea? !